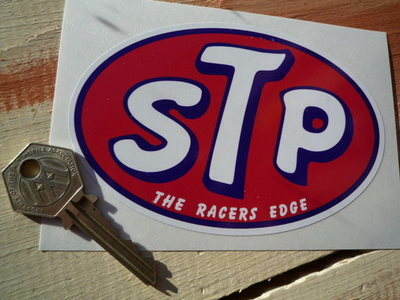 STP The Racers Edge Oval Sticker. 5". 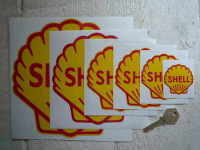 A single, red, blue & white, oval, STP 'The Racers Edge' stickers. Sticker measures approximately 125mm x 85mm. 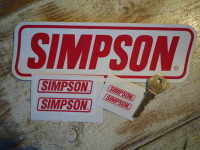 Simpson Red & White Slanted Oblong Stickers. 1.5", 3" or 9" Pairs. USA Stars & Stripes Shield Style Sticker. 4". 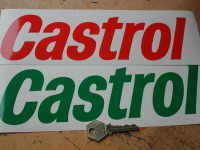 Gulf Logo Stickers Pair. Various Sizes. 40mm - 100mm. 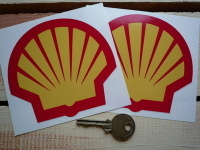 Shell Classic Logo Stickers. 2", 3", 4", 4.5", 6", or 8" Pairs. 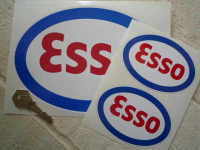 Esso, Red, White & Blue Oval Stickers. 3", 4", 6" or 8" Pairs. 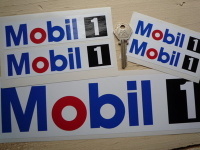 Mobil Earlier Pegasus Shaped Stickers. 2", 4", 8" or 10" Pair. 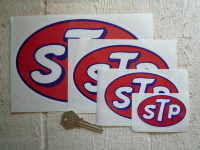 STP Oval Stickers. Various Sizes. 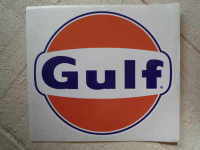 Gulf Logo Large Sticker. Various Sizes. 225mm - 550mm. 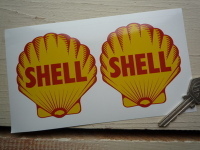 Shell 1955 Logo Stickers. 2", 3", 4", 6" or 8" Pairs. 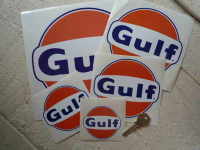 Gulf Logo & Chequered Flag Handed Stickers. 3", 4", 6" or 11" Pair. 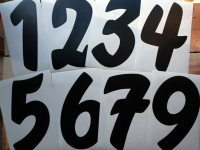 Shell Black & White Angular Text Stickers Pair. Various Sizes.